CBLE : Admirals grands vainqueurs! Accueil » Actus » Actualités sportives » CBLE : Admirals grands vainqueurs! 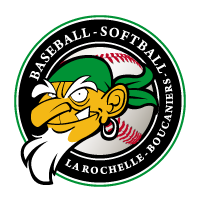 Cette année encore, nous avons le plaisir de constater la victoire des Admirals du tournoi de Baseball CBLE ; Équipe représentant notre belle ville de La Rochelle! Après plusieurs semaines de matchs et parcourant différentes villes, les Admirals décrochent la victoire! Encore félicitations à eux! 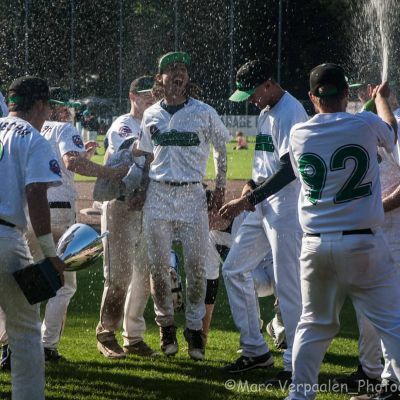 (Oosterhout)- The Amsterdam Bombers knocked out the highly favored Sant Boi Falcons in the elimination game on Wednesday night and clinched their spot in the Championship Game against La Rochelle Admirals who beat the Falcons in the winners bracket earlier that day. Admirals defeated Bombers 2-1 today after taking the lead late in the game. The game was tied at one with Admirals batting in the bottom of the sixth when there was an error, scoring one run. The pitching was strong on both sides. hurlers for Admirals struck out six, while Wittwer sat down seven. Bombers captured the lead in the first inning. Bombers scored one run when Reichel doubled with two outs in the first inning. Dennis Rudolph earned the win for Admirals and became the MVP of the tournament. He threw four innings, giving up zero runs, three hits, striking out three, and walking zero. Wittwer took the loss for Bombers. He pitched six innings, giving up two runs, six hits, and striking out seven. Diaby started the game for Admirals. He tossed three innings, surrendering one run, three hits, striking out three, and walking zero. Rudolph went 2-for-4 at the plate to lead Admirals in hits. Bombers collected six hits. L Fischer and Reichel each collected multiple hits for Bombers.